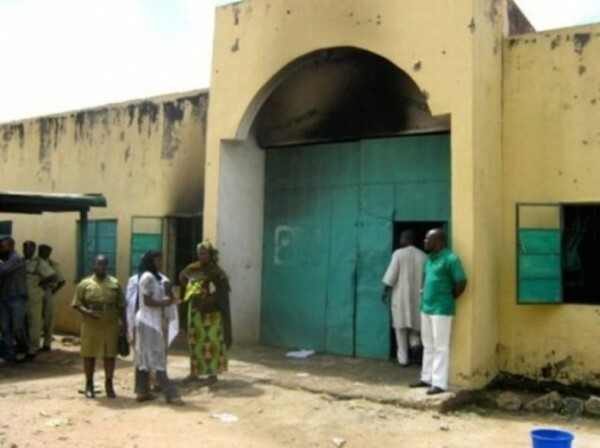 In a statement released by the Controller-General of the Nigeria Prisons Service NPS, Ja’afaru Ahmed on Sunday morning in Abuja, the mastermind behind last Thursday's attempted jailbreak at the Abakaliki Prisons in Ebonyi state had been incarcerated since 2007 and had been awaiting trial. Prisons authorities did not immediately give details about the ring-leader or his name, offences and whether he was among the inmates killed in the crossfire or not. In a statement signed by the Service Public Relations Officer, Francis Enobore the Controller General, who inspected the prisons stated that trouble started when prisons officials were about to carry out routine cell-search in the morning but the inmates in a particular cell resisted the exercise. "They suddenly became riotous, broke other cells and released the inmates. They eventually broke into the workshop to arm themselves with dangerous weapons and severely attacked some staff trapped in the yard while others made for the main gate and pulled it down”. At the end of the confusion, no fewer than six inmates were killed while 10 were injured. Six prisons officers who were injured are said to be currently receiving treatment alongside the inmates. “Regrettably, at the end of the fracas, six prisoners died and 10 others were injured. Six prisons officers were severely injured. However, both staff and inmates are responding to treatment with some already discharged from the hospital. The Controller General has since set up a three-member panel to carry out a thorough investigation into the incident to establish what caused the riot.